Forge Motorsport Carbon Fiber Engine Cover - Dezod Motorsports Inc - Home of the automotive performance enthusiast since 2002. 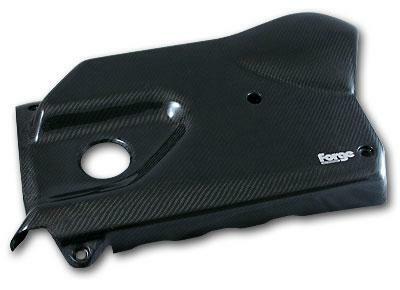 The Forge Motorsport Carbon Fiber Engine Cover is the crowning jewel to any modified engine vehicle. Constructed from high quality carbon fiber, this engine cover is a direct replacement for your OEM unit and uses all factory mounts and fasteners for perfect fitment.